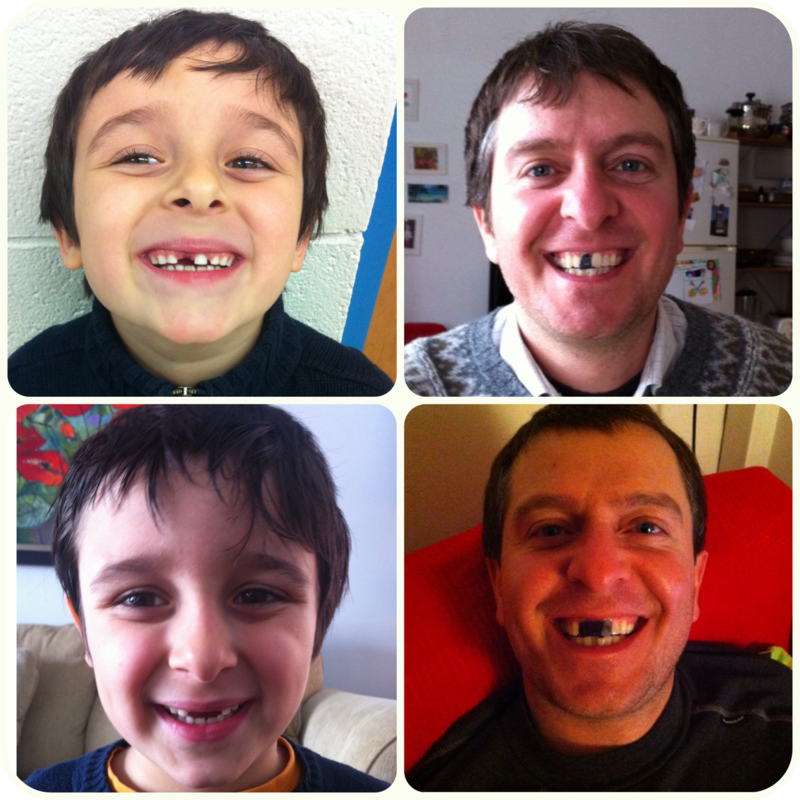 Last month, my son lost his two front teeth a couple of weeks apart. Each time, I snapped a photo and sent it via What's App to his uncle who lives in Spain. And each time, my brother-in-law sent a photo back in reply. I laughed each time. You know, that ugly, snort-filled laugh. That is funny! My kids are losing their teeth too. Have a terrific day! That is absolute hoot! I love it! Thanks for the smile. :) Have a great week. Now that is funny looking. I just use Photoshop when I want to eliminate, or add things. That is hilarious! I love his sense of humor!